There is a lot of excitement building around what 3D printers can and might do. But how does a 3D printer work? It’s actually not very complicated. Here are the mechanics behind the most common consumer-level printers that extrude plastic. 3D printer owners choose between two types of plastic: acrylonitrile butadiene styrene (ABS) and polylactic acid (PLA). Some printers work with just one, other printers work with both. The plastic comes as strands of filament that are usually a standard 1.75 millimeters or 3 millimeters in width. ABS, which is used to make Legos, is chemical-based and works at slightly higher temperatures. PLA is derived from natural sources, such as corn or sugarcane. It’s more rigid and glossy than ABS. Outside of 3D printing, it can be used to make compostable packaging. Filament, which is usually stored on a spool attached to a 3D printer, can be expensive. MakerBot charges $48 for 2.2 pounds of PLA, though PLA or ABS can be had for half the price on eBay. 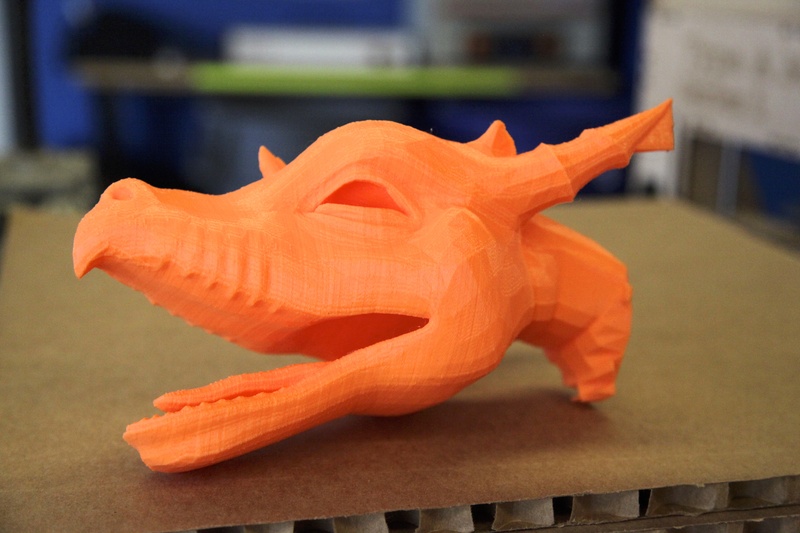 The company estimates one 2.2 pound spool of filament is enough to print 392 chess pieces. The price is likely to drop as 3D printers become more common and filament is manufactured on a larger scale. One current way to drop the cost is to use a filament extruder; you feed in cheaper plastic beads or recycled plastic and out comes strings of filament. Once you’ve obtained the filament, it is fed into the 3D printer’s print head. Generally, this is a boxy shape with a nozzle sticking out of it. A gear pulls the piece of filament through the print head. Just before it is extruded by the pointed nozzle, the filament passes through a heated tube and liquifies. The nozzle deposits it in ultra-fine lines generally about 0.1 millimeters across. The plastic solidifies quickly, sealing together layers. ABS generally needs to be printed on a heated surface; otherwise, the bottom layer of plastic curls up. PLA can be printed on a non-heated surface. Most printers have one print head, which means objects are printed in one color, or the filament has to be switched out during the print job. Some printers, such as MakerBot’s newest, the Replicator 2X, have two print heads. This allows objects to be printed in two different colors. 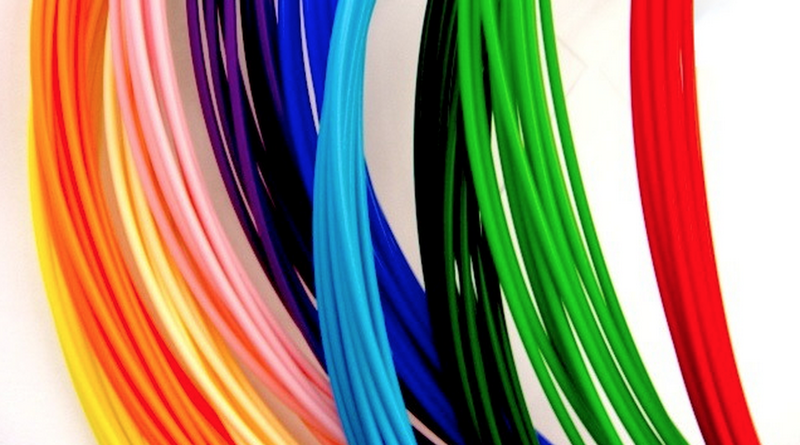 botObjects has promised to build a full-color printer that mixes filaments to produce a full spectrum of color. 3D printing is additive manufacturing. That means the plastic is built up one layer at a time. The print surface — which is called the print bed — and print head work together to print in three dimensions. On a MakerBot Replicator 2, the print head is suspended on a gantry system. Two metal bars that run across the top of the Replicator support the print head. The print head can move back and forth along them. At the edge of the printer, the two metal bars connect to another two bars. This allows them to move forward and backward, and the print head to move in four directions altogether. The print bed moves up and down to add a third dimension. Other 3D printers like RepRaps, the open source DIY printers that started the consumer 3D printing trend, sometimes work slightly differently. The print bed may move up, down, forward and backward while the print head only moves side to side. Or there are more unusual systems, such as the DeltaMaker, where the print head moves in three dimensions. Print jobs can take minutes, hours or days, depending on the size and density of an object. For example, artists recently ran seven Type A Machines Series 1 printers for two months straight to build a 10 x 10 x 8 foot sculpture. Not all 3D printers are the same. Professional 3D printers are capable of printing higher quality objects with more diverse materials. At the Shapeways factory, where huge 3D printers output many objects at once, goods aren’t limited to PLA and ABS. There’s brass, ceramic, steel and five types of plastic. Some of their machines rely on laser sintering, which uses lasers to fuse together particles of material. Some key laser sintering patents are set to expire next year, which could soon bring them to consumer printers. FormLabs’ Form 1, a stereolithography printer, is one of the key printers to watch for non-traditional technologies’ entry into the consumer market. 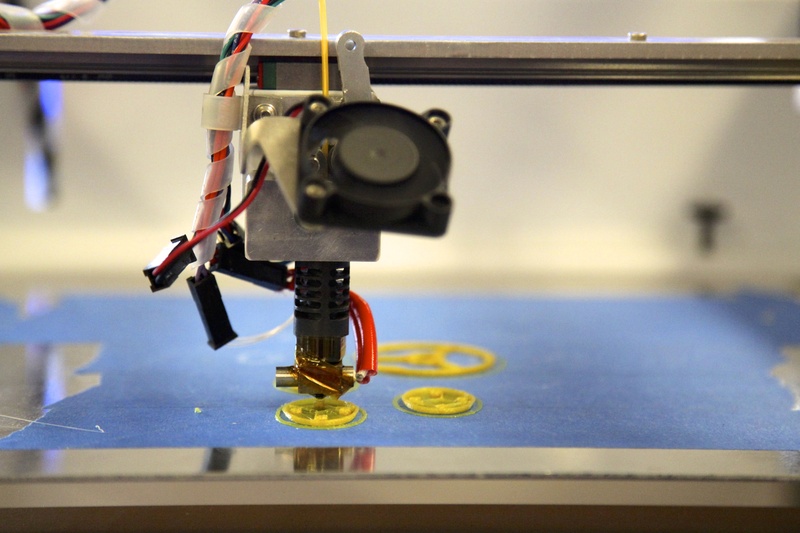 Metal, and even hybrid, printers could be next. Are world is going to be so different with all this technology it amaze me how we went from actually building these things to printing these things off but what happens if something goes wrong? Ok, so you broke something made of plastic and you want to make another one on your 3d printer. Where do you get the software for that? The applications of 3D printing becoming more widely.When this technique has just been launched,it can only be applied to manufacturing or medical sector.And now as the technology matures, the applications has expanded to aerospace, military,arts and other fields.It seems that 3D printing does have a good space for development.Interested in 3D print can log onto the http://goo.gl/4yQLem view details. The 3D printer also untold success or failure, but it is the future trend of development, have great potential for development. Making something, it is far better than the traditional manufacturing process. But there needs to be further development of new features, the types of making things more diversity, further improve the price.Interested in 3D print can log onto the http://goo.gl/5vTu7Z or http://shop.lxmaker.com/ view details. 3D printers are still at the begining, be patient a few years and you’ll see the difference. Just like how computers evolved quite fast, 3d printers will go beyond recognition in a few years. Seems easy, but in fact a 3d printer can’t be used by anyone. Take it as an advice, if you don’t have any experience dont buy a high end printer to play with… that can cost you a lot of money. Appear that you have some experience working with 3D printing technology. Can you share some of your thoughts and elaborate them? 2. We will be able to print with a lot of different materials (3d printer for organs will be released in the next few years: http://www.technologeek.net/using-3-d-printing-to-create-synthetic-organs/ ). 3. Let’s imagine an industrial application. Good, Informative, can we use polyester filament as base material, melting temp is about 250 to 260 degree Centigrade. Great intro to the subject. Two points: I’ve not heard of anyone actually using these recycling extruders to make their own filament yet. Soon hopefully. Also, the average extrusion width for home FDM machines is probably something like 0.6mm. There aren’t any that can achieve 0.1mm widths yet although 0.1mm layer heights are common. I think her numbers may be correct actually, according to all of the sources I’ve looked at, the average width is 0.1mm. And to say that we haven’t achieved sizes that small is slightly ridiculous. 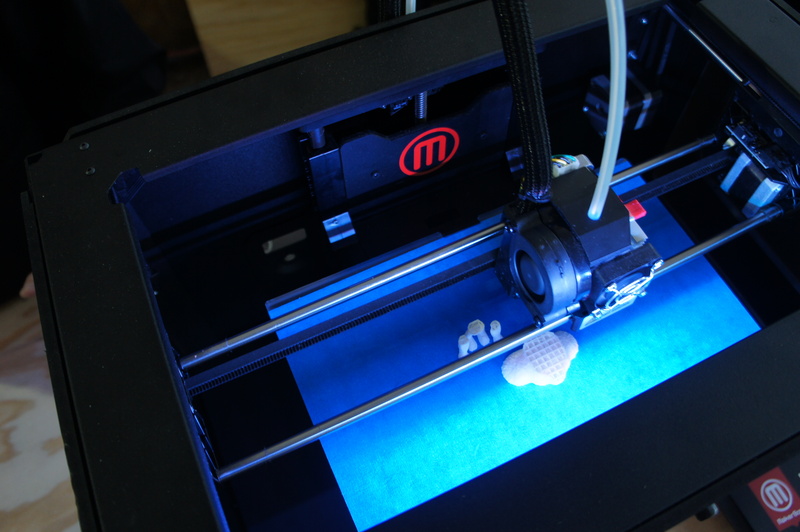 Last year scientists created a blood cell using a 3D printer. Well from the information given perhaps it will be simple. Thank-you for the helpful information.